Served with Caramelized Shallots, Fingerling Mash with Red Wine Jus. Peaches and Wet Rocks. Rocks! Owner/operator Gary Wiley boasts a long career in the New York restaurant industry. Gary, a family man originally hailing from Co. Cork, Ireland and living in Sunnyside for the past 20 years, appreciates the unique and wonderful diverseness of the neighborhood. His aim is to allow the customer to experience the food and flair of Manhattan style restaurants in our own neighborhood. 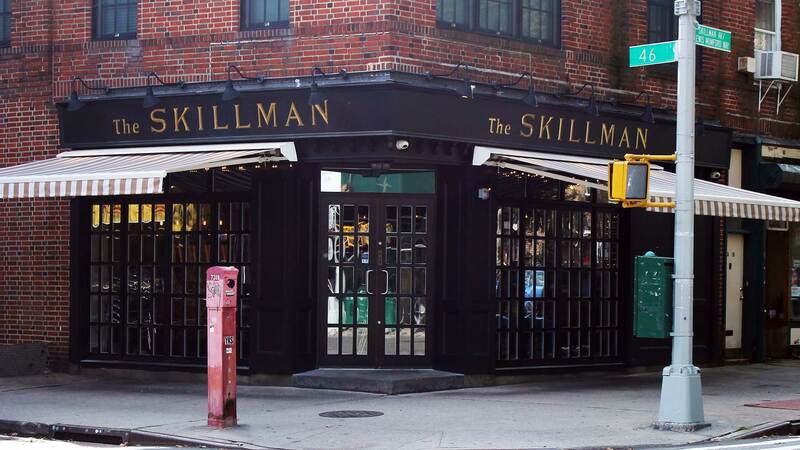 THE SKILLMAN Bar & Restaurant lies nestled in the heart of Sunnyside Gardens. The decor nods to times past, while the menu of American Fare finds its foundations in locally sourced ingredients, creating seasonally rotating dishes that embrace the modern day tastes of our diverse neighborhood.